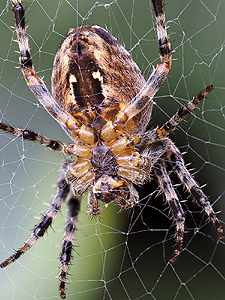 The European garden spider is a well known orb-weaver. 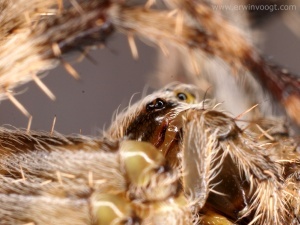 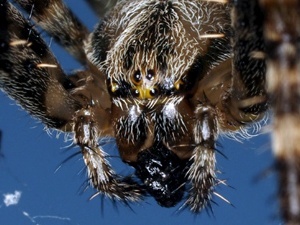 Unlike insects, spiders don't have compound eyes with separate facets. 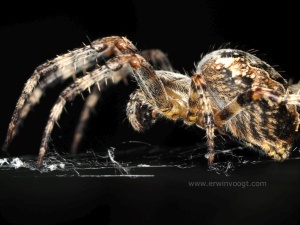 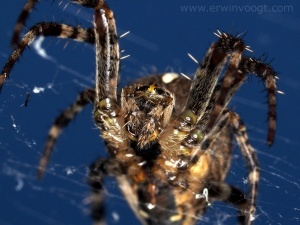 Spiders have eight eyes, four in the middle of the head (cephalothorax) and two on each side. 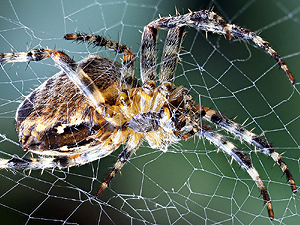 The silk from its spinnerets is as strong as nylon and composed from a protein. 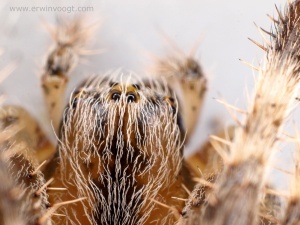 The "8" shaped eye is actually the two eyes on the side of the head. 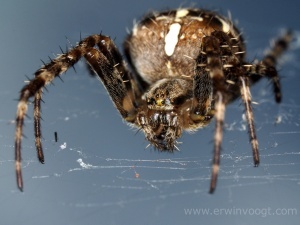 On this image you see the two eyes on top of the head. 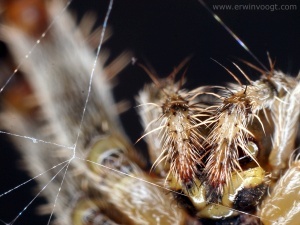 Note the reproductive organ (oviduct) in the middle and spinneret at the end of the body (abdomen, opisthosoma). 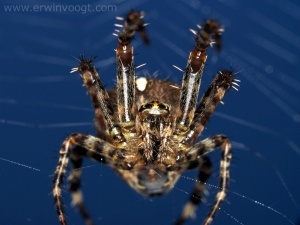 Garden spider or cross spider or cross orbweaver.